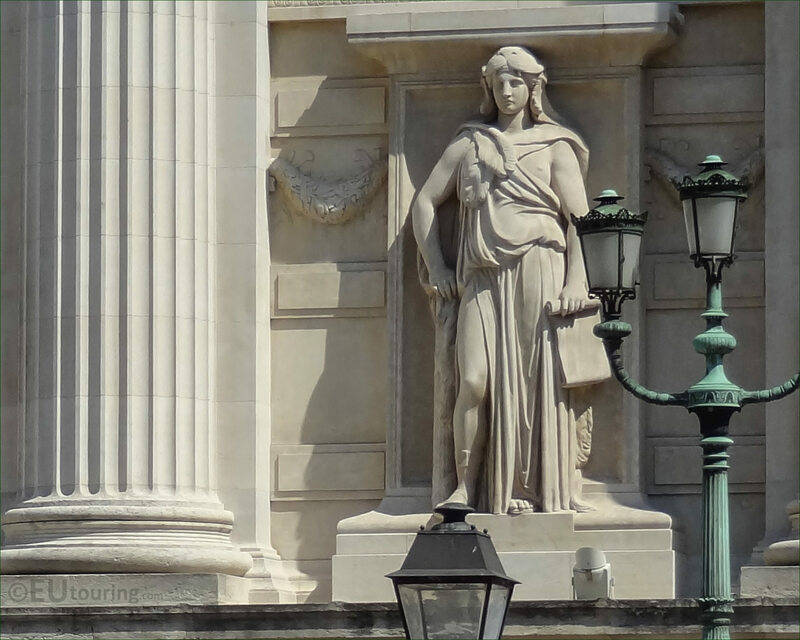 We were on the island in the River Seine called the Isle de la Cite, when we took these high definition photos showing a statue called La Force, which was sculpted by Jean Louis Jaley and is located on the Palais de Justice in the 1st Arrondissement of Paris. 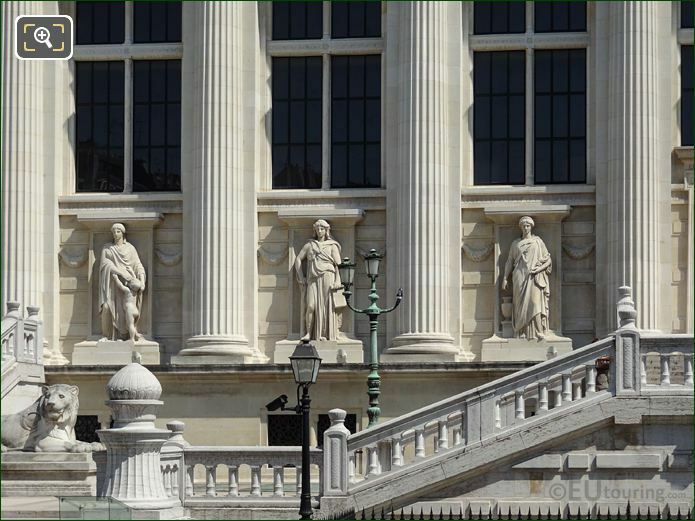 This first HD photo shows a statue called La Force, which was produced for the redesign of the Palais des Justice in the 1800s when additional statues were added to the facades of this very historical building that is one of the most prestigious buildings in Paris, located on the Ile de la Cite on the main island within the River Seine. 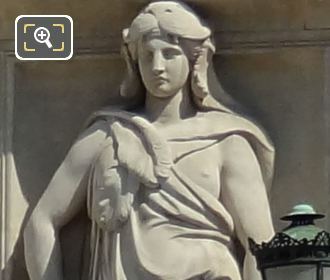 Now this close up photograph shows the detailing that went into producing this statue of The Force, which was by Jean Louis Nicolas Jaley, who was born in Paris in 1802 and initially followed his father who was an engraver, before turning his focus to sculpture, winning the Prix de Rome in 1827 and furthering his studies at the Villa Medici. Jean Louis Jalay was commissioned for two different statues on the Palais de Justice that were sculpted in 1859, along with many others for tourist attractions such as the Gare de Nord, Palais du Louvre and different churches, gaining many medals and awards throughout his career. 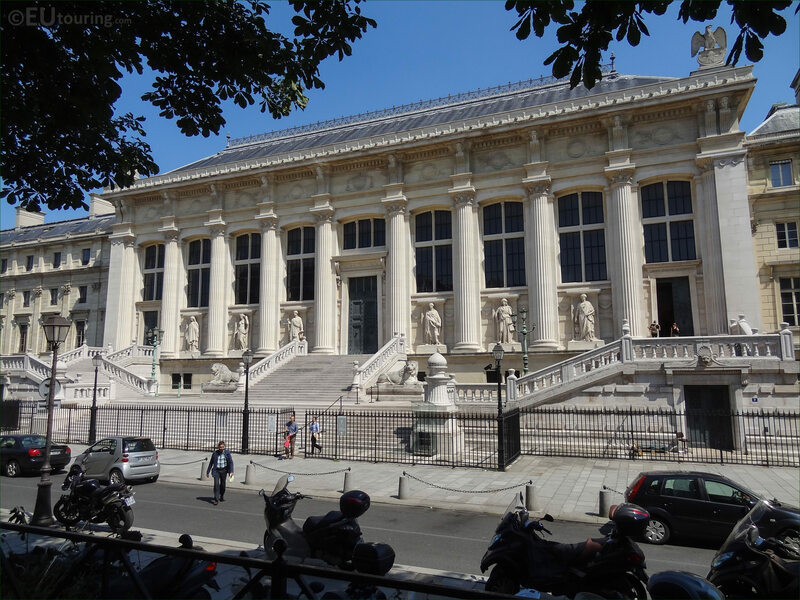 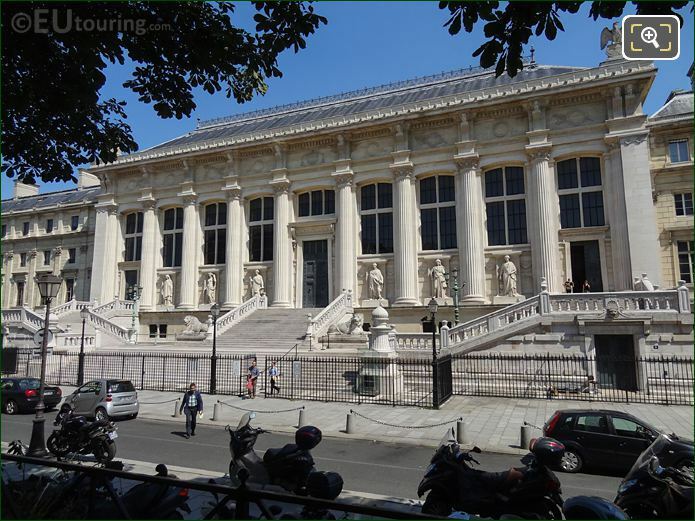 And above you can see a photograph showing the facade of the Palais de Justice located on the Rue de Harlay in the 1st Arrondissement, which is the western side and we took this from the Place Dauphine that is a square located on the Isle de la Cite island.